Notes from the retreat / 2-day gathering of AID volunteers from several chapters. People trickled in and conversations formed around various topics. Once it seemed that a fair number of people had arrived we started the session. Somnath walked us through the current state of IT infrastructure in AID. Balaji shared the story of his journey particularly in the past 5-10 years and the challenges that AID-India has faced. After lunch we convened for a few minutes of silence and then heard from Kiran about his work with Rythu Swaraj Vedika. Naga then led a discussion about AID @ 25. We shared a draft logo for AID @ 25 designed by Sai. Naga announced a T-shirt contest and Dr B offered a prize of $1000 to the chapter whose volunteer won the contest. A number of student volunteers also declared that they would like to campaign for people to sign up for dollar-a-day ($365) donations. Just when we thought we were exhausted volunteers called for a discussion on AID demographics and how to reach out to a new generation of volunteers as well as how to retain older volunteers as they moved into new stages of life. Younger: Pair an experienced volunteer with a student volunteer. Some such pairings took place on the spot with the students who came to the retreat from Morgantown. A new graduate student at the University of Maryland was also instantly grabbed. Even Younger: Outreach to high school students seeking volunteer hours or mentoring for a capstone project, and more programs like the youth conference. Older: Just because someone could not attend CSH, it did not mean that they could not retain close ties with AID and with the other volunteers who were active in their time. Just as schools have alumni organizations AID should have something to encourage loyalty to the organization and lasting friendships among volunteers who can find new ways to support the organization. In any talk or discussion there will be what we say and what we leave unsaid. We often overlook all that we leave unsaid, which often includes insights more penetrating than anything we have said or can say. The retreat held space for us to venture into the unsaid, sometimes to say it and sometimes simply to acknowledge it. The silent sessions were an opportunity to think without talking, without filtering what we could say from what we could not. Wittgenstein once wrote, “What we cannot talk about we must pass over in silence.” It is essential to have time for silence. What makes AID special to you? What makes you special to AID? What are your hopes from the retreat? We then followed this with a round of introductions and a brainstorming session on the strengths and weaknesses of AID. Some of the later sessions also started with a few minutes of silent reflection. After lunch the topic of discussion was – what should be our aims and how should we get there? A meta-discussion ensued on whether these should be short, medium or long term goals, whether their scope should be broad and visionary or narrow and operational, and if measurable, on what scale? Should goals guide the organization or strictly define the scope of its activities? From the various long and short range goals listed, some were shortlisted for break-out discussion on day 2. We then heard from Suri and Somu about the techniques that they had used to mobilize volunteers and supporters in campaigns in which they were involved. Evening spread out against the sky and we moved outside to talk about the decision-making processes in AID. 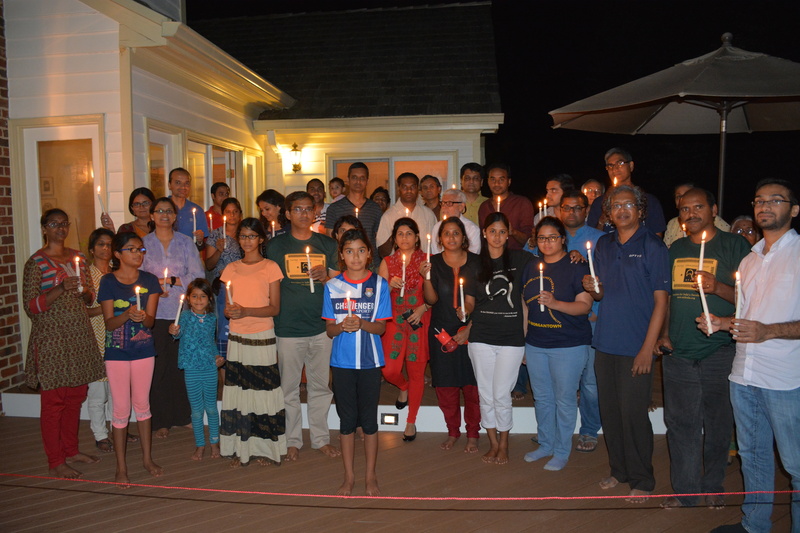 Afterwards, in response to a global call for solidarity with the farmers facing crises in India, we held a candlelight vigil. Kiran and Suri talked about their visits with farming families affected by debt and suicide, and several volunteers shared thoughts about what we could do. After dinner people met in small groups to discuss Publications, Treasury, AID Audit, and other matters. We went to the Bay Area for a week, starting in Daly City which was at least 30 degrees colder than where we came from, namely Dallas. Not to mention windy! Hadn’t prepared for that when Rupal, who received us in San Francisco, suggested visiting the nearby beach in the evening. We kept ourselves warm with some lively discussion about challenges in India and planning for the Milan fundraiser, but eventually the chilly ocean breeze got the better of us and we went back home. 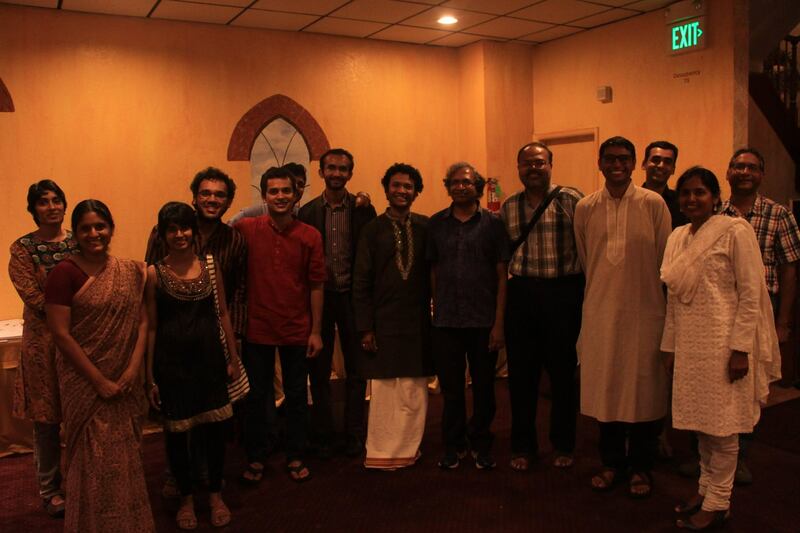 Over the course of the week we attended the Milan, visited a millet farm in Berkeley, attended the Bay Area CSH, spoke at a public meeting jointly organized by AID and Asha and held at Stanford University, and went to other parts of the Bay Area to visit friends, longtime supporters, and past volunteers of AID. One such friend, longtime supporter, and past volunteer of AID, Sangeeta Peris, asked for ways people like her could stay connected with the organization even if they could not attend regular CSH meetings. Others like her also spoke up at the Milan to say how much they valued AID and its courage to face tough issues, including caste, which was the focus of the Independence Day campaign and highlighted in one of the project presentations. 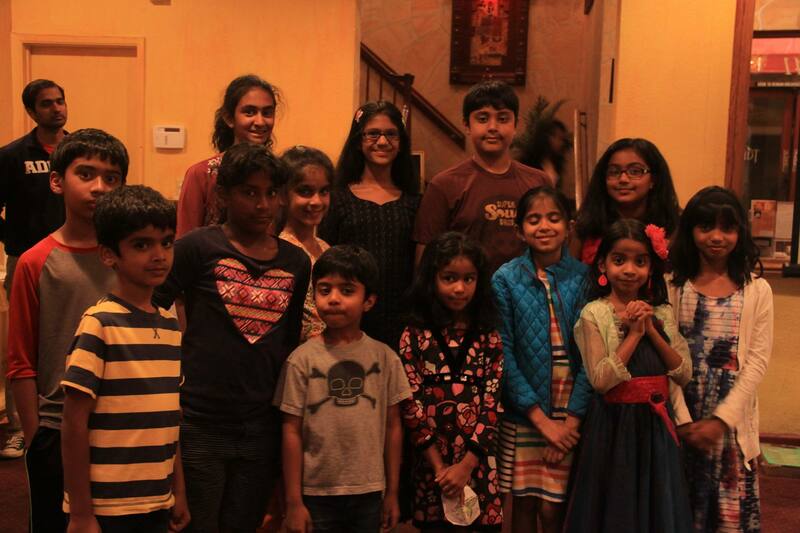 Bay Area Milan: Kids got to meet one another in an atmosphere of solidarity and goodwill towards social causes. Several donated generously from their pocket money after hearing about the programs and strategies of AID. Volunteers of AID Bay Area pose after Milan. Volunteers who were very active in previous years got to meet the new folks and lend their support to current efforts. 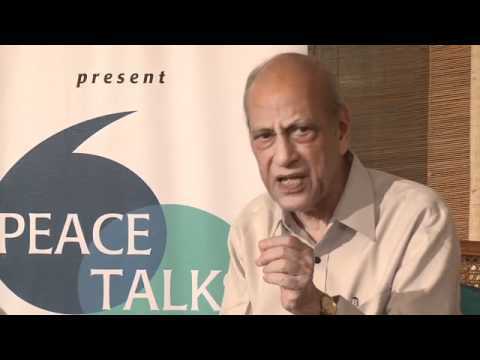 Ramaswamy Iyer, former union secretary of Water Resources for the government of India, and professor at the Center for Policy Research, and well known advocate of alternatives to big dams, passed away on September 9, 2015 in Delhi.